Play out real-life scenarios in LEGO DUPLO Town: a recognizable world with modern DUPLO figures. 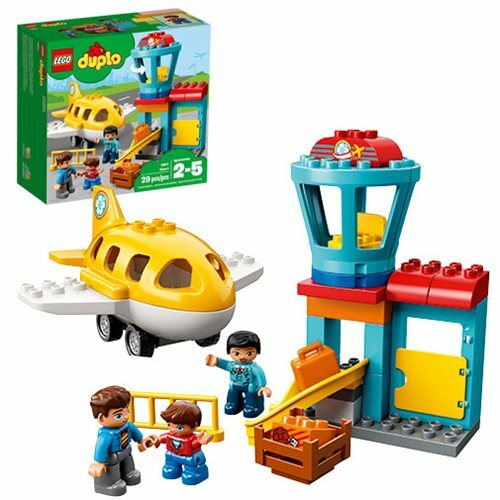 Help your little pilot get ready for take-off at the DUPLO Airport! It's easy for preschoolers to build the boarding gate, luggage slide and revolving air traffic control tower. Toddlers will love to help the pilot get all her passengers aboard the buildable plane and head for the skies! Includes 3 DUPLO figures. The LEGO DUPLO Town 10871 Airport includes 29 pieces. Ages 2 to 5.